Corvus monedula Linnaeus, 1758, Sweden. 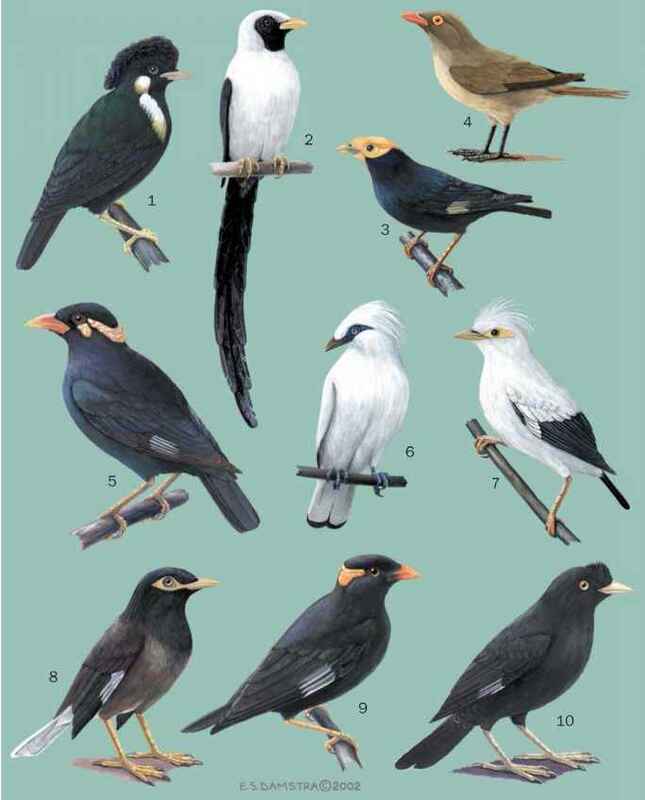 Four subspecies usually recognized. French: Choucas des tours; German: Dohle; Spanish: Grajilla Común. 13.26-15.21 in (34-39 cm); 4.86-9.27 oz (139-265 g). Upper-parts are grayish black with a slight bluish gloss. Head has a black forecrown and dark gray rear crown, nape, and sides. Wings and tail are black and glossy. Underparts are grayish black. The short bill is black, as are the legs and feet. Wide variety of open country with trees, including areas of human habitation. Sociable groups frequently engage in agile, tumbling flight display, giving loud calls. Mainly granivorous, except during breeding season when it takes moth caterpillars from tree foliage. Semicolonial. Stick nests built in tree holes, cliff faces, or artificial structures. Generally four eggs April through May. Incubation 17-19 days; fledging about 30 days. Not threatened. Abundant; appears to be spreading broadly north and eastward.